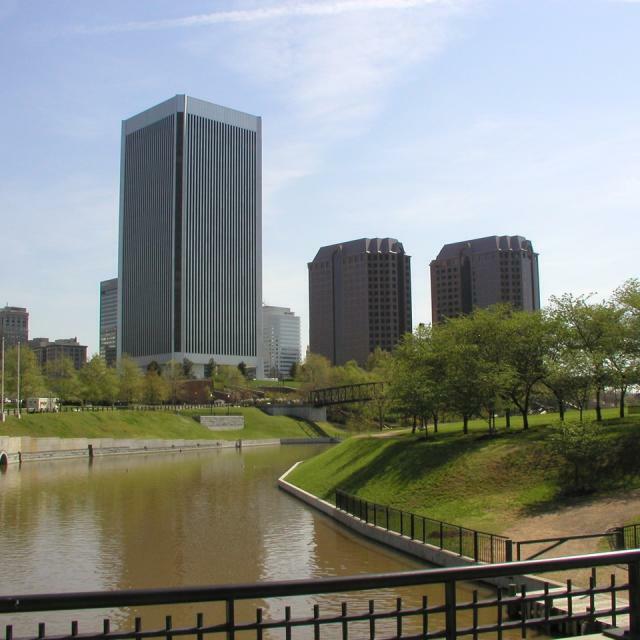 Brown’s Island is an amazing, six-acre riverfront park. 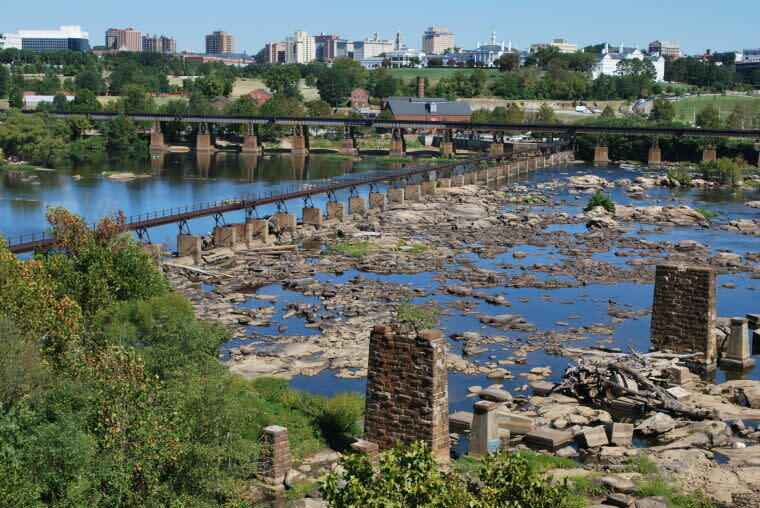 Brown’s Island is located south of Tredegar Street between 5th Street and 12th Street on the James River. 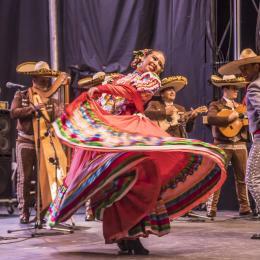 It was formed by the Haxell Canal and is part of the 1.25-mile Riverfront Canal Walk. 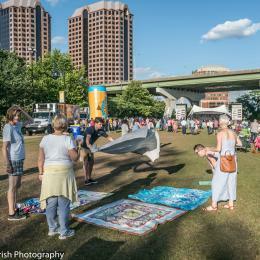 The Island connects to the James River Park and is the popular venue for outdoor concerts and festivals including the Friday Cheers concert series, Dominion Riverrock, and the Richmond Folk Festival, which attract over 400,000 people to the riverfront. 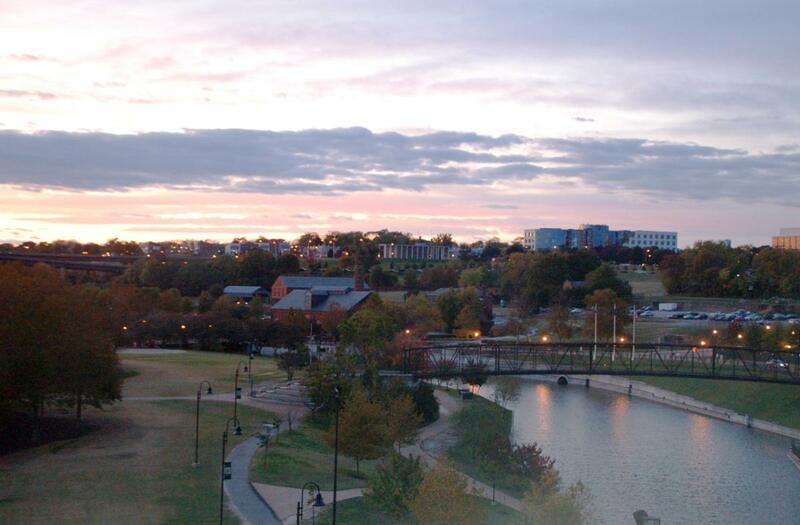 It is a favorite walking, running and biking area for locals and visitors alike. 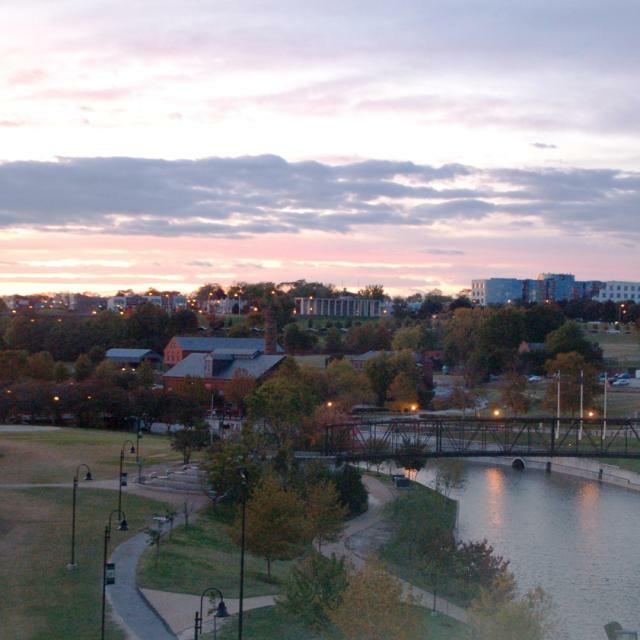 There are historical exhibits, public art and plenty of nature to explore. 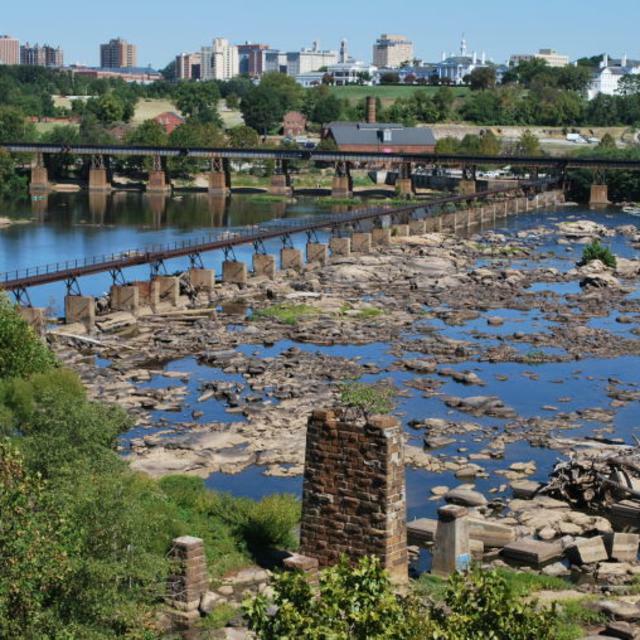 Discover the April 1865 exhibit that hangs over the James River and connects to the Potterfield bridge, a popular biking and walking destination. 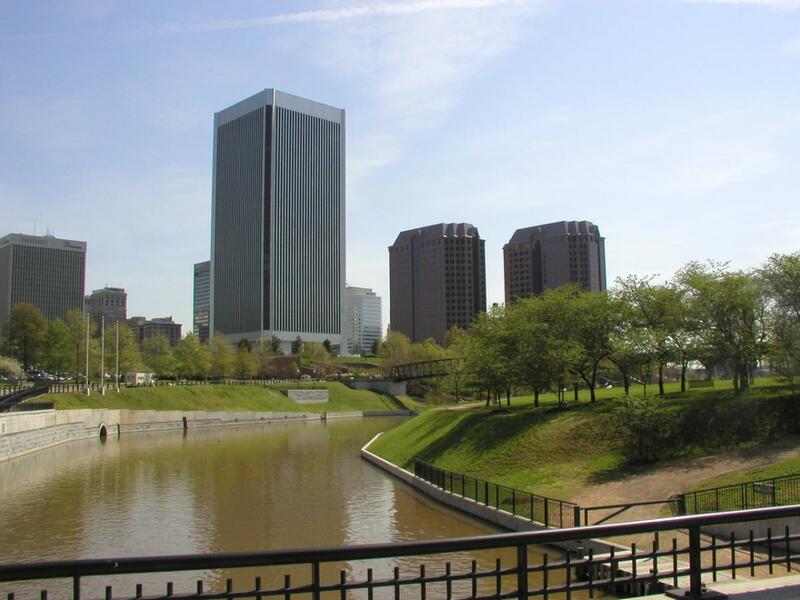 Visit the War Memorial, American Civil War Center and National Park Service. Look for eagles, blue heron, osprey and more. Head east along the paths towards 10th, 12th and 14th streets and you'll find over 75 restaurants in the Shockoe area and some unique shopping. Rent a mountain bike, kayak or paddleboard During summer months, Riverside Outfitters is renting mountain bikes, kayaks and paddleboards from the Brown’s Island kiosk on Fridays, Saturdays and Sunday from 10 a.m. to 5 p.m. The riverfront outpost opens June 15. There are great mountain bike trails on Belle Isle and along both sides of the river, as well as a bike skills course on the isle. Hit the streets and explore downtown on a bike as well! 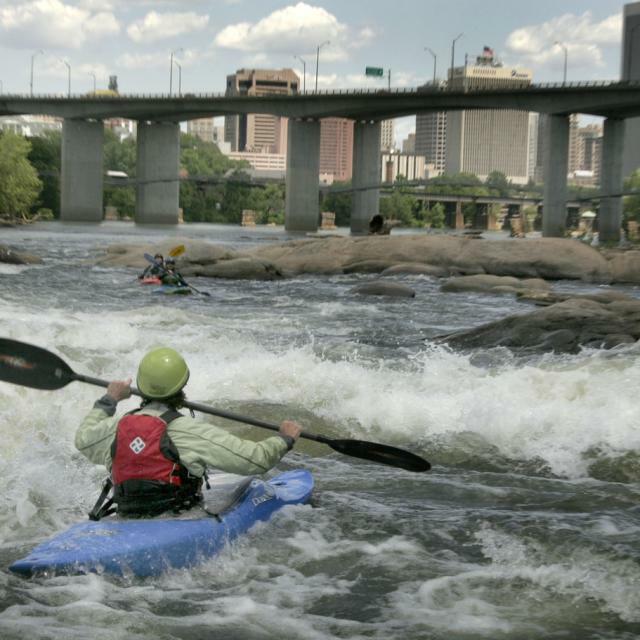 Paddling on the river is a wonderful way to experience the natural environment and nature in the middle of RVA’s downtown. 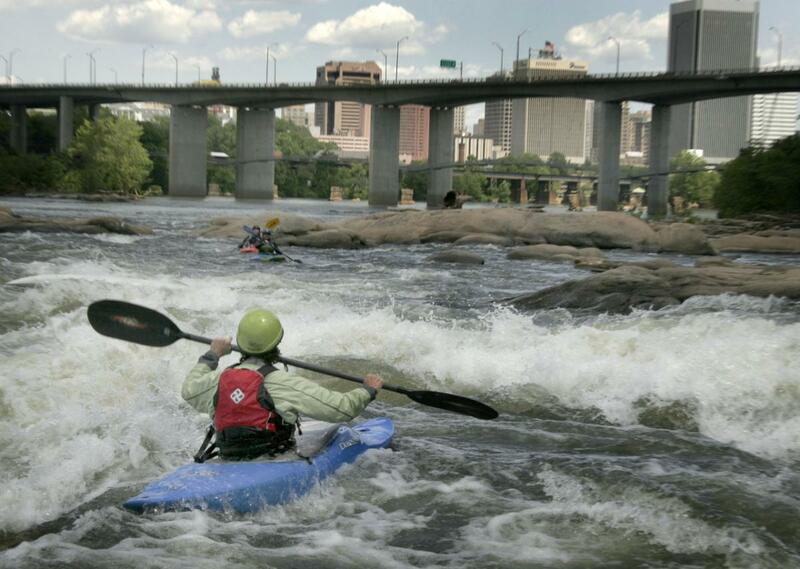 There are some beautiful flatwater areas of the James for paddlers to cruise.